We cannot laugh and think at the same time. This is a huge advantage when coaching and training people, as too much thinking often hinders progress! Sue Knight has for many years modelled master of Provocative Therapy, Frank Farrelly, and has unpacked the strategies of his very powerful approach. This workshop is an opportunity to explore and practice some of these strategies for change. The ability to enable us to laugh at our issues changes the way that we experience them astonishingly. 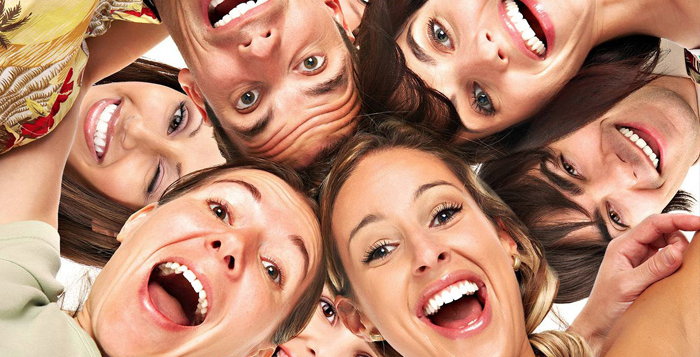 Laughter is increasingly recognised as a powerful source of healing resources. When we laugh something happens in our brain and we release new chemicals into our blood stream.. chemicals that support us to think and experience things differently from before. Individual responses to events – showing coaches how to use laughter in ways that are valuable to their work with clients. Client perspectives – how humour will help them move on from situations. Organisations – what they can draw from best practice that is valuable in working with groups and teams. This event will be held on Thursday 14th November 2013 at the Old Bridge, Huntingdon (click here for location and directions). The session will start at 10.00 and we aim to finish by 1.00 pm. refreshments will be provided and there will be plenty of opportunity for networking both during and after the session. The cost for the meeting is £19.99. Sue Knight is an international consultant and author, pioneering the use of NLP for people in business. Her work includes and goes beyond NLP in her aim to support us all to discover our unsuspected greatness in this chaotic, challenging and turbulent world. She is the author of several books including the international best seller NLP at Work and NLP and Leadership. Other work includes conferences and ‘one to one’ high performance coaching sessions.